Save thousands of dollars through our easy and fast listing process. Set up a showing in a few simple clicks. *Currently only available for Michigan residential properties. See the number of views and visits your property has. It’s really possible. 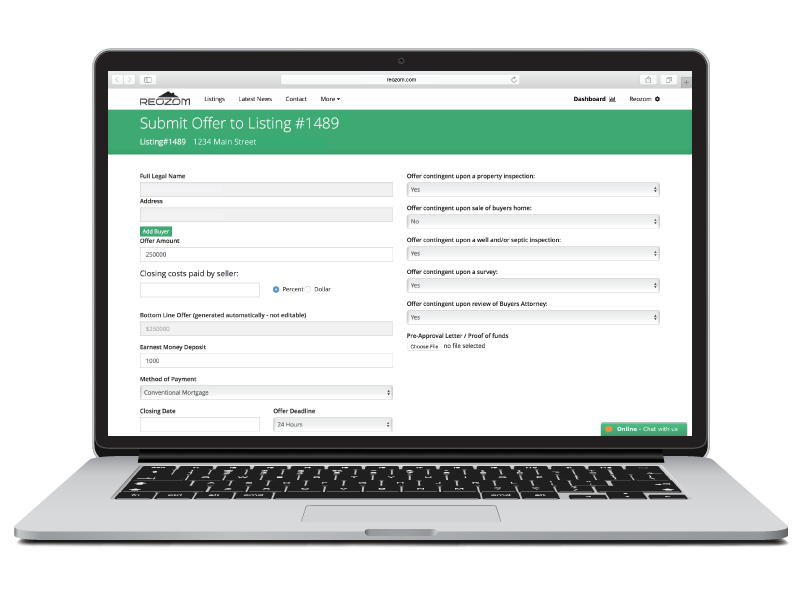 Buyers (or their agent) can now submit an offer directly through Reozom. On an individual listing page, there’s a “Submit Offer” button. Registered buyers simply click the button, type in an offer and send it off to the seller. Negotiating has never been easier. The buyer’s offer is sent directly to the seller, who is immediately notified via text and/or email. The seller can then accept the offer or make a counteroffer through our platform. Once an agreement has been reached, a Purchase Agreement auto-fills according to the conditions and terms that were agreed upon. The Purchase Agreement is sent to both parties for their electronic signatures to seal the deal. 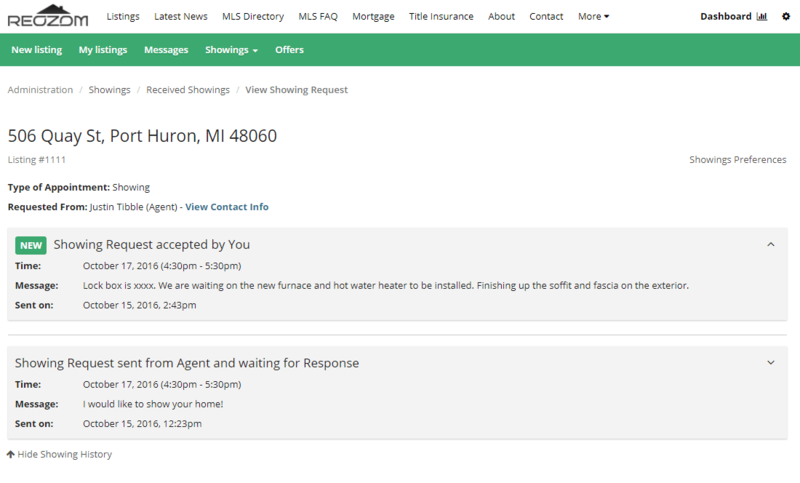 Buyers get instant gratification by scheduling their showings directly on Reozom. All the buyer has to do is press the “Schedule a Showing” button on the individual listing page. The buyer picks a date and time and then sends their request to the seller. The seller is notified via text and/or email. If the requested date or time doesn’t work for the seller, they can respond with a new suggested time for the buyer to stop by. Sellers can also determine whether or not a buyer needs a Pre-Approval Letter or Proof of Funds in order to visit the property. Finding homes for sale by owner has never been easier! Our MLS database currently includes Florida and Michigan. The Reozom Experience in Real Words! Sold our Home in 5 hrs. and saved Thousands. All info was sent to me though the internet. Agent called me to show our home b4 all pictures were even entered into MLS. And that was it for us- SOLD in 5 hrs. Extremely happy. Office was very helpful with our questions. Why does anyone pay a listing agent anymore? The only thing you need is to get listed on MLS to be seen by anyone and everyone. Reozom puts you on MLS which also feeds into realtor.com and Zillow. I chose to offer the buyer's agent 2% for bringing me a buyer and at my price point, it was still a good payday for the agent and broker. LOVED working with you guys, will never use an agent again!! Thanks! The experience through Reozom was great! Everything worked out as described by Justin. Would definitely consider using his services from Reozom again.